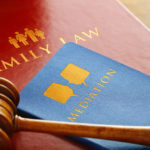 Before your divorce actually takes place in court, you may find yourself in a position where you are struggling financially and wonder where you can turn. Fortunately, sometimes temporary spousal support (or alimony) can be given in the meantime until a court judgment. 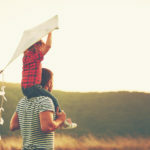 You could be left in a situation where you have very little money during divorce because your spouse was the breadwinner, and therefore paying the mortgage, bills, and more. When you request temporary alimony, your spouse will help cover expenses for you while you are waiting for a final decision to be made. In California, you will have to submit your financial information through a Preliminary Declaration of Disclosure, which includes an income and Expense Declaration and a Schedule of Assets and Debts (which informs the court of your finances to make a final decision). They will include information on all of your assets, debts, income, and expenses so that the court can get a closer look into your financial condition and more. In many cases, a judge can make a decision based on what they see in those documents alone. However, if they can’t make a decision, they will speak to you at a hearing. The judge in your hearing will attempt to be as fair to both sides as possible. They use almost the same formula that is used to dictate how much child support will be paid. Temporary spousal support orders are meant to be just that – temporary – so they only stay in effect until the case ends and a final alimony order is given in the divorce. 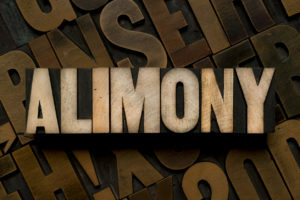 In some cases, depending on the circumstances, alimony can become permanent, though it is more rare. Maintaining two households can be difficult for one party, which is why temporary alimony is not meant to last. It is a means to support yourself in a desperate time when finances are tight during divorce. Talk to us today about your case and how alimony works, and what you should expect.